The residents of Dundee are being asked for their opinions and ideas for a 6.7-acre property on Fifth Street and its potential for the city. A survey, commissioned by the Chehalem Park and Recreation District, was opened for all residents with a Dundee zip code and is set to close Oct 31. The Sander Estate -- containing a house, barn and hazelnut/filbert orchard -- was acquired by the CPRD in February 2017. Half of the property was obtained through a donation from owner Janis Sander, while CPRD purchased the remaining land. CPRD is working alongside Scott Edwards Architecture to develop the property plan. The local architectural firm has worked with the CPRD in the past on the Chehalem Cultural Center and the recent construction of a new Chehalem Aquatic and Fitness Center. 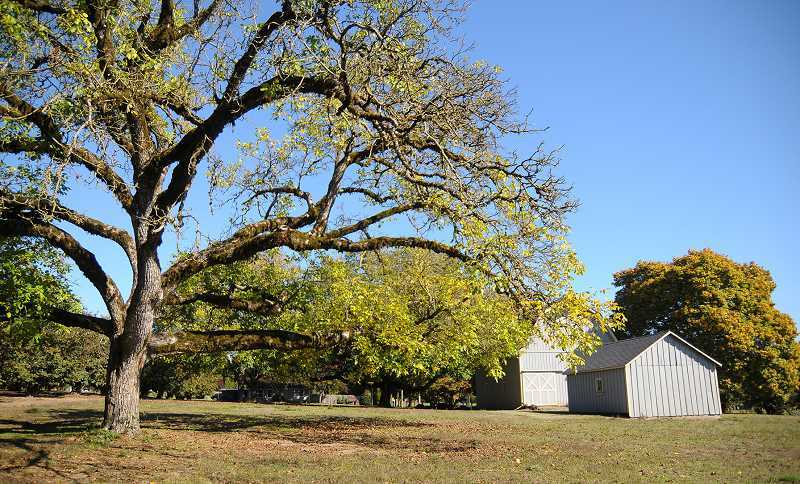 The property, located across from Billick/Dundee Park and Dundee Elementary School, was a prune, hazelnut and berry nursery business from the 1900s to the 1970s and is still an active orchard today. Sander said she hopes her family's estate will be utilized well to serve the community. In a public meeting held by CPRD in April, residents voiced their ideas for the property and also were informed about Sander's wishes. The audience learned that Sander is open to whatever the public wants, aside from anything to do with pools or water. They also got word that the house and barn remain in great condition, but a promising future for the orchard isn't likely. However, Sander's "whatever the community wants" directions were heavily emphasized and nothing is off the table. Audience-suggested ideas ranged from using the house for a historical library to making the area a parking lot for the nearby school. In the end, residents were assured that their voices would continue to be heard through a survey. The survey asks for ages in the household, how often the Newberg and Dundee facilities are personally utilized and the top three park and recreational facilities wished to be developed in Dundee by residents. While a variety of ideas were communicated at the meeting, Dundee City Manager Rob Daykin is encouraging residents to share them through the survey. A city park committee's meeting is set to take place Nov 7 where the results will be presented and further plans will be discussed.